Nothing too exciting to tell. I'm a wife, a daughter, a sister, a friend. I have two cats. I like to run, read, write. I’m still reeling from this diagnosis. An appointment with a neurosurgeon is a few weeks away, so in the meanwhile I’m trying to learn more about meningiomas and how they are treated. Meningiomas are largely benign and the neurologist says mine is small, but I already know from searching that it’s probably large for its location. And I also know that CPA masses are “skull base” tumors that can be more difficult to reach and remove. Without knowing more, this is all I can go on for now. I’m trying to remain calm and grateful that it isn’t something worse. In 2014 I met my goal of reading 65 books. (I always join the Goodreads Reading Challenge.) Some were really exceptional and some were pretty bad. I also re-read about a dozen books; they are not included on this list. I just finished Orange is the New Black by Piper Kerman and I’m officially putting it on my imaginary list of books that really make me think. I am a fan of the Netflix show and of course I binge watched both seasons as soon as they arrived in the queue. (I also once accosted Dascha Polanco on the street to beg for more episodes.) The thing I really like about the show is the way it tells the personal stories of the inmates and how they ended up behind bars. It’s also well-written and the actors are some of the best in the industry. 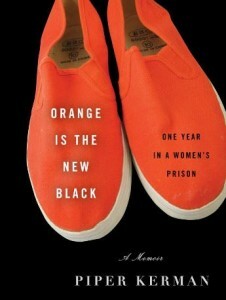 However, the book filled in some gaps for me that I haven’t grasped from watching the TV show. 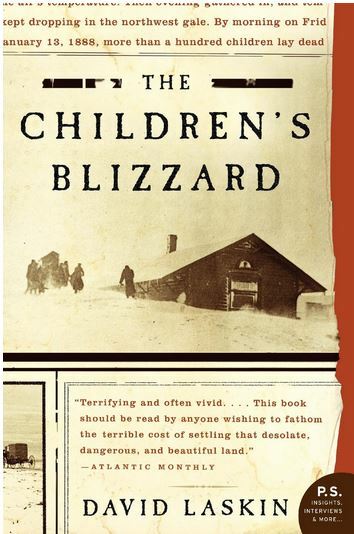 This book is the story of the January 12, 1888, blizzard that led to the deaths of hundreds of people—many of them children who had gone off to school for the day and then tried to get home after the storm began. It is harrowing in its deadly detail, but also a fascinating look at the early days of meteorology and the personal stories of immigrants to the Great Plains.